Harsco Track Technologies Switch & Crossing Stoneblower DR80302 heads south from Cheltenham on 16 March 2009. It is pictured passing Up Hatherley. 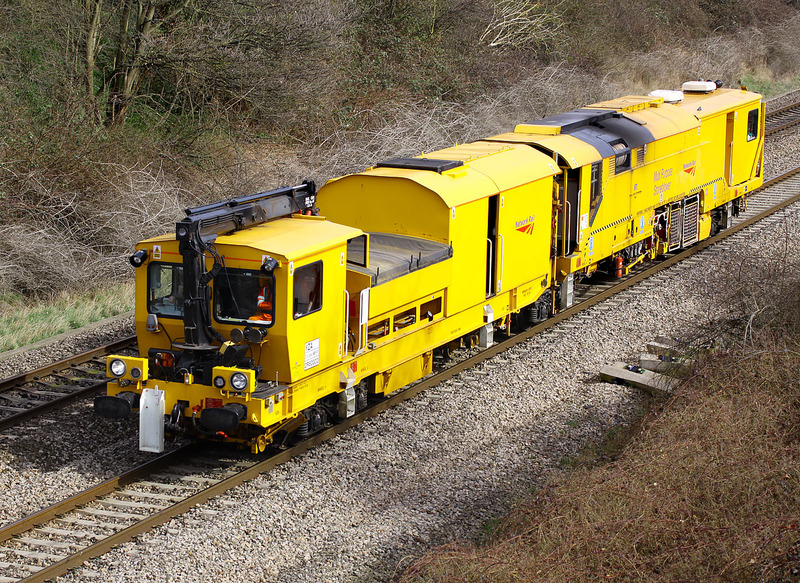 This is one of three such machines currently in service with Network Rail.